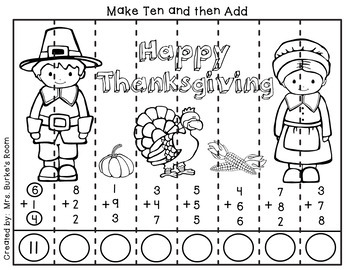 A Thanksgiving math puzzle. This uses the Make 10 and then add strategy. Once the children answer all the math problems and color the picture then they cut the puzzle apart into 8 strips. They can use the picture puzzle over and over again.